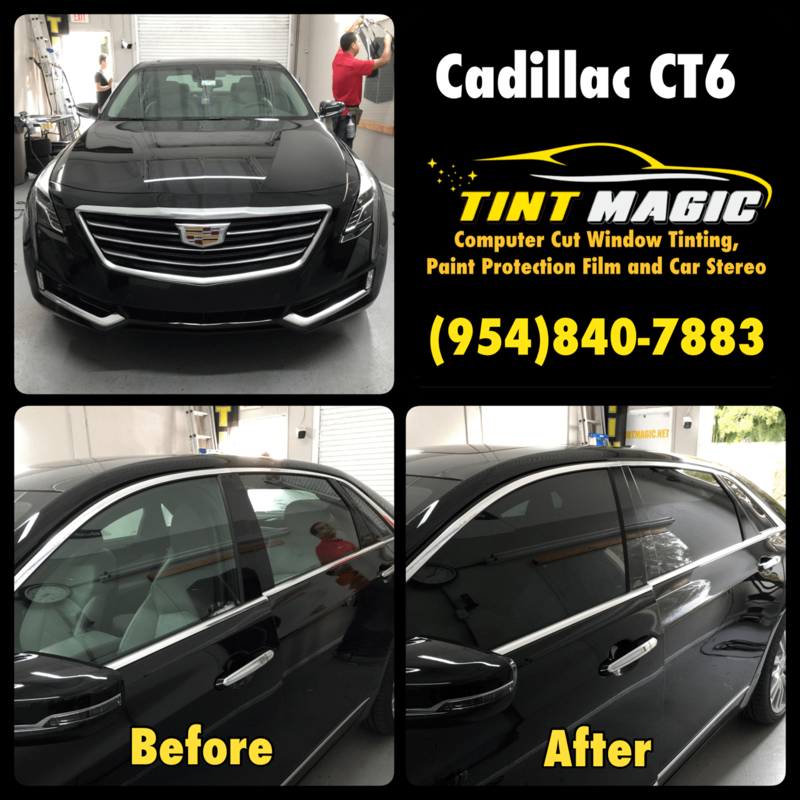 Cadillac CT6 at Tint Magic Window Tint serving Coral Springs, Parkland, Tamarac, Coconut Creek, Sunrise, Weston, Margate. We have applied Suntek CXP Platinum Package 25% all over around for the best heat rejection and UV protection with Lifetime Warranty. We are located at 11344 Wiles Road Coral Springs, Fl 33076. Call us for a free estimate! (954)840-7883. Its acceleration ability pales in comparison to the 5.0- and 13.5-second times laid down by the aforementioned CT6 Platinum—404 horsepower and all-wheel drive see to that. The 265 hp and 295 lb-ft of torque developed by the turbo four is more than enough grunt to get the CT6 moving around town, though, especially in Sport mode, which tweaks throttle and transmission mapping as well as steering effort. (It also adjusts shock stiffness and rear-steering parameters on CT6s with the Active Chassis package, which our test car didn’t have.) There are also Tour and Snow/Ice settings to optimize everything for those scenarios.